In July, I spent two weeks in California, my home state and heart state but a place I haven’t lived since college, almost a decade ago now. I was in Los Angeles for the first and last few days of the trip, and so I thought I’d share with you the few panoramas I took while there. They simply can’t be appreciated in smaller form, so please click on each for a new tab to open, then click again for a larger version of the images that you can scroll through. The first panoramas are from hiking in the Hollywood Hills. 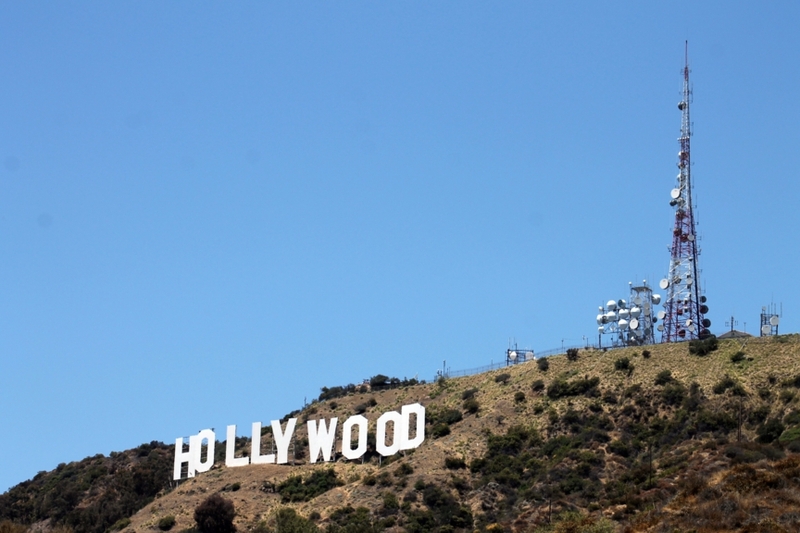 My friend and I were in search of a close view of the Hollywood sign, not realizing that the specific hike we’d chosen would actually have taken us a couple of hours in the bright, hot, summer sun to get there. So we didn’t achieve that view, but taking off on the trails across from the Greek Theater still lent itself to lovely shots of downtown LA and the surrounding areas. A little farther along the cliff-hugging trail, and the view opens up with fewer tree obstructions. And a little zoom lens fun with downtown buildings gives a nice idea of just how vast the LA area is. This is only a small segment of it, folks. For more pictures of hiking in the Hollywood hills, click here. On our return to LA, my sister and I decided to go to the Getty Center for the first time. She’s an LA native and had never actually gone. Both of us were surprised by how absolutely gorgeous the view is from their hilltop location. Of course, I had to take a few more panoramic shots. Again, click on these pictures for the larger view. The first one is from the Exhibitions Tower of the Central Garden, with Los Angeles sprawling beyond it. Here, the Western Pavilion is on the left and the Research Institute on the right, with hills in the distance. This shot is to the east of the Center, with the Southern Pavilion on the right side, my sister in front of it, peering off toward the city. And finally, this is downtown LA and environs with the Getty’s Cactus Garden in the foreground. For more pictures from the Getty, including their collections, click here. 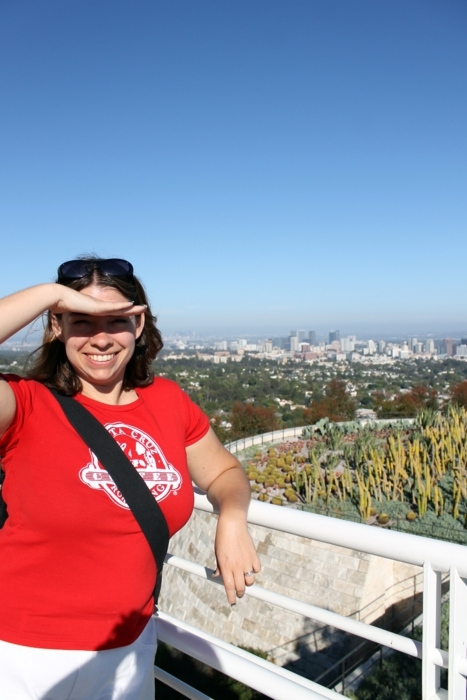 And because I can’t post a photoblog without at least one picture of myself, here I am overlooking LA from right above the Cactus Garden. I hope you enjoyed these panoramas as much as I enjoyed seeing them in person! I also hope it may sway a few of you who only think of LA as a dirty, smog-filled city with no aesthetic appeal. In case you may not have noticed, I disagree. But then, I’m always biased when it comes to California. Next week, I’ll have panoramas for you from Yosemite, and they are fantastic. It’s one of those places that I still can’t quite believe I was at when I look through the photographic evidence.